He has been a hound, one half of an African-American duo busting crime in modern-day Harlem and has, over the years, matched wits with everything from Martian invaders to flesh-eating zombies. But Sir Arthur Conan Doyle's Sherlock Holmes, the great detective who continues to inspire legions of adaptations across mediums, is rarely reimagined as a young girl. With her debut young adult novel A Study In Charlotte, American writer Brittany Cavallaro, 29, fills that gap. "There's been a gold rush of adaptations, but it seemed like Sherlock was getting reimagined every which way but as a teenage girl. It was important for me to do a feminist retelling of Sherlock Holmes," she tells The Sunday Times over Skype from her home in Milwaukee, Wisconsin. "I thought it was crucial to give girls - especially now, with young girls so interested in the television and film adaptations of Sherlock - a genius character that looked like them. I love that Elementary (a television series with Lucy Liu as "Joan" Watson) reimagined Watson as a woman, but it's important to have the complicated, difficult genius - the person actually calling the shots - be a girl." She experienced firsthand the casual assumption that mysteries are a man's domain. Would we accept Sherlock's flaws if he were a woman? We're tougher on female characters than we are on men. When she was a young girl, her grandfather gave her little brother a leather-bound edition of the Holmes stories. "It went to him - you know, the boy, the one who my grandfather automatically identified as the one who'd be interested in reading about and solving mysteries. And I stole it," she says with a laugh. Holmes became a life-long interest for Cavallaro, who would go on to study detective fiction when she did her PhD in English literature. And when she started on A Study In Charlotte, the first book in a planned trilogy, she knew right off the bat that it would be built around a prickly girl genius. Charlotte Holmes and Jamie Watson, descendants of the original Holmes and Watson, are teenagers struggling to figure themselves out, but are already burdened with the legacies of their ancestors. Marooned in an American boarding school, the two develop a tentative relationship when they find themselves framed for a classmate's murder. The fun, fast-paced novel dangles new twists and mysteries that pay tribute to Doyle's canon. It is also Cavallaro's way of confronting expectations attached to gender. "People don't tend to look to girls to be the genius. And when they do, they still want them to be pleasant and social and likable. Charlotte isn't any of those things and I wanted to see what the consequences of that would be," she says. "When you're a girl who doesn't really understand her place in the world, when you're a girl who has the same kind of self-destructive eccentricities Sherlock had, how would that play out? Would we accept Sherlock's flaws if he were a woman? We're tougher on female characters than we are on men." Her Charlotte is flawed and fumbling: She was sexually assaulted by the classmate whose death she is now being blamed for, and indulges a drug addiction. Cavallaro says it was also crucial that she stick to Doyle's tradition of telling the story through Watson's eyes. In the book, Jamie - whose problems are of the run-of-the-mill teenage variety, among them hormones and grades - reports on Charlotte's frenetic, self- destructive fervour with fascination and confusion. "I wanted him to be the storyteller and for the girl to not be there just to further his story. She's not a manic pixie dream girl. She's not just a love interest or arm candy," says Cavallaro, who is married. "She's somebody who's driving the story, who's just fine without him, and he knows it, shows it and respects it." She started on the novel in 2013, while she was trying to put off studying to sit a big examination for her PhD. She banged out the draft in about six weeks and finished revising the novel with her literary agent in early 2014. Months later, the book was snapped up by HarperCollins. Cavallaro has just turned in the second book and is getting started on the third. She says: "Holmes has been a huge part of my life - I'm a Sherlockian and proud of it. So to have this as my Sherlockian calling card, to put my own spin on a character that's been embedded in the common consciousness for so long, is amazing." 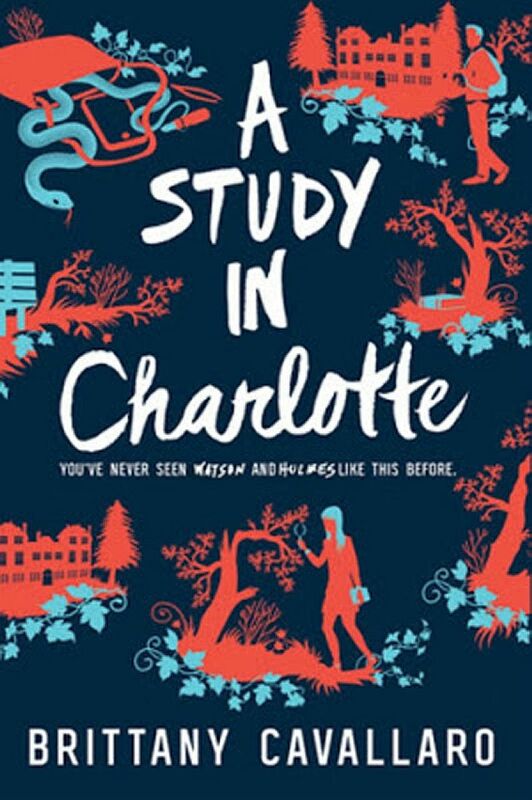 •A Study In Charlotte ($32.13) is available at Books Kinokuniya. 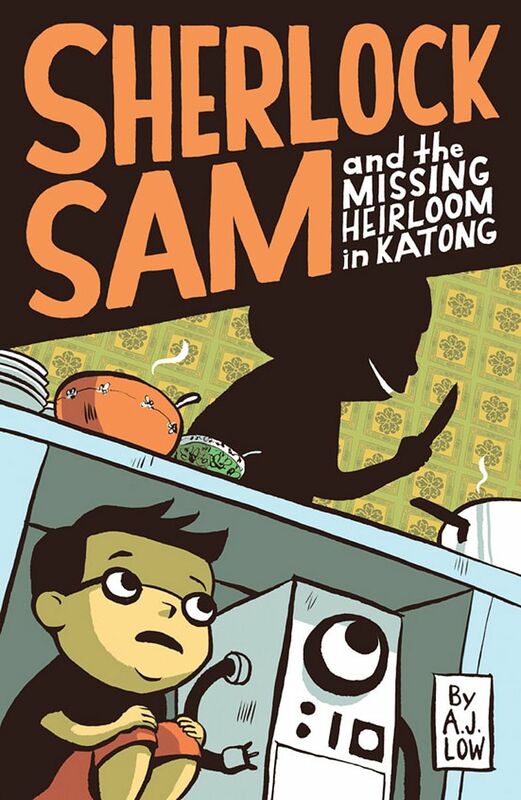 From hunting down a missing antique tin robot to shedding light on scary sounds echoing through Fort Canning, 10-year-old Samuel Tan Cher Lock and his robot sidekick Watson are Singapore's answer to Doyle's crime-solving pair. The children's fiction series by husband-and-wife team Adan Jimenez and Felicia Low-Jimenez is illustrated by Andrew Tan and published here by Epigram Books. It has since been picked up by United States publisher Andrews McMeel Publishing. The Sherlock Sam series is available at major bookstores. Prices start at $9.90 each. 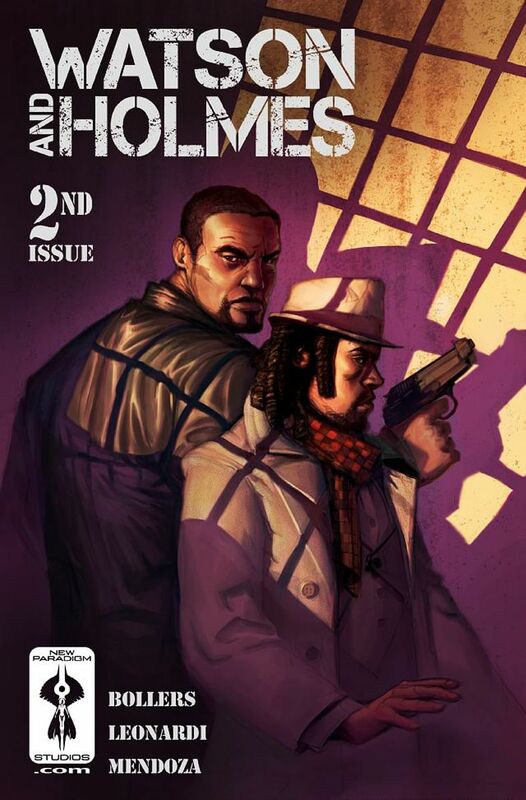 Independent comic book publisher New Paradigm Studios' Eisner-nominated series, written by Karl Bollers and drawn by Rick Leonardi, transplants Holmes and Watson into modern-day Harlem, as they battle gangs, guns and drugs and unravel mysteries. This suspenseful series starts off with 15-year-old Mary Russell - brilliant and headstrong - meeting Sherlock Holmes, since retired from detective work and busy keeping and studying bees instead. In her, he finds someone able to match his wit and so begins her life under his reluctant mentorship. The latest book, The Murder Of Mary Russell, can be purchased at $44.56 from Books Kinokuniya. 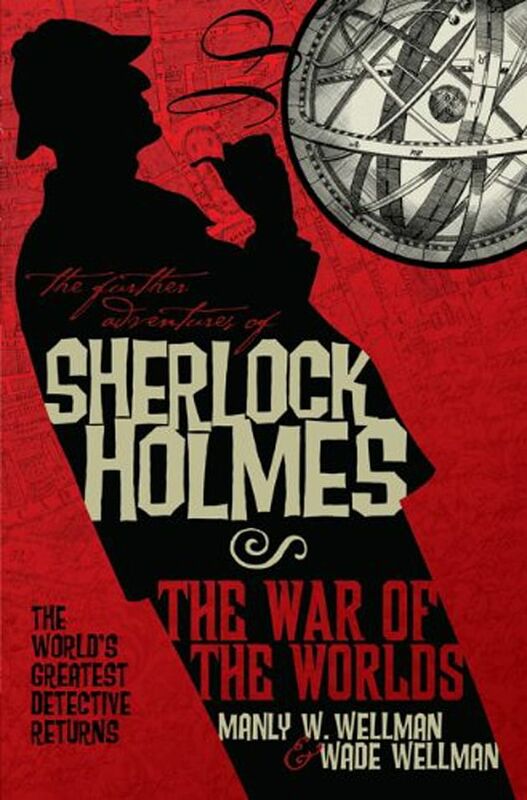 Published in 1976 as Sherlock Holmes' War Of The Worlds, this book weaves elements of H.G. Wells' science- fiction novel The War Of The Worlds with Doyle's Holmes stories, sending the detective and Watson up against Martians who have invaded London. It costs US$9.95 on Amazon.